My family on my father’s side came to America two generations before the Revolutionary War. There is some evidence that they came originally from Île de Ré, a Hugenot stronghold in France, perhaps for religious freedom So I suppose stories of independence have always been in my blood. Perhaps this is one reason why I have written a novel about the Nationalist movement in Corsica as they also strive to maintain their culture, language, and political freedom from France. But what is interesting is that Corsica’s centuries of striving for independence is closely tied to the American story of independence from England. The Corsican Constitution, written by Pasquale Paoli, directly inspired the American Constitution. Apparently, American revolutionaries rode to attack shouting, “Viva Paoli”. 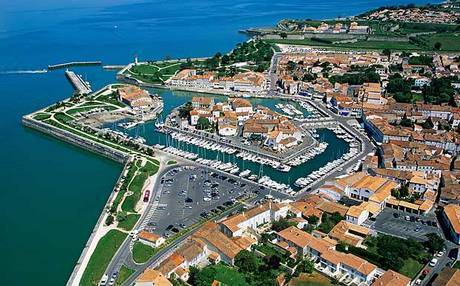 Several US cities were named Paoli or Corsica or in memory of the Constitution of the innovative small Corsican nation. As this celebration of our Independence Day approached, I have had an incredibly interesting exchange of letters with two men, a father and a son, struggling against what they consider the ultimate loss of independence, unjust imprisonment. 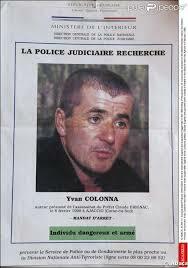 Yesterday marked the 12th anniversary that Yvan Colonna has been incarcerated in a French prison. 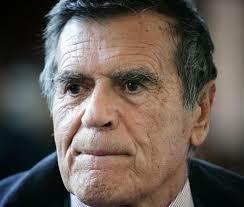 He was convicted of assassinating Claude Érignac, the prefect of Corsica, on 6 February 6, 1998. He is the son of Jean-Hugues Colonna, a former deputy (MP) of the French socialist party in the Alpes-Maritimes constituency and a recipient of the French Légion d’honneur. 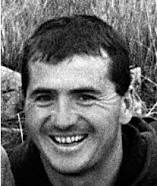 On 20 June 2011, Yvan’s conviction was upheld on appeal. Yvan is currently serving his life sentence in a prison in Arles. On his website, Yvan posted his prison address and since my novel is about a Corsican separatist unjustly accused, I thought I might send him a copy of my novel. The other reason was that when I decided, back in about 2007, to turn my 1996 screenplay “The Coriscan Dagger” into a novel, I happened across a photo of a Corsican separatist on the internet which looked exactly like what I had imagined that my main character, Antoine Scafani, would look like. It was a photo of Yvan, I believe shortly after his initial arrest. He had been the subject of the biggest manhunt in French history, and was thought to have left the country, possibly for South America. However, an infrared camera set in the mountains of Corsica, near Vico as surveillance of a “bergerie“, a traditional Corsican stone hut, yielded evidence that Colonna was hiding here. He was arrested on the 4th of June 2003. As I read more about Yvan’s life, I saw many other similarities. So perhaps my imagination had been right on. Within a week I received a cordial hand written letter back from Yvan stating that although he could not read English that “he would be my man” to translate the novel into lingua corsa if I could first get it translated into French. And just this past week another package arrived from France. This time from Jean-Hugues Colonna, his father, who at age 80 has taken on the task of writing to those who have contacted his son. His love and unswerving support for his son is quite evident. He included two books that have been written about Yvan’s case. The main gist of their argument is that he was presumed guilty before the trial and therefore a full investigation of other suspects or even the gathering of sufficient evidence again him was not done. He believes that this would never have happened in America, although I’m not sure about that! Jean-Hugues also shared some other fascinating information about his family back when he was a child during WWII. They had harbored a Jewish family (the island had been occupied by the Italian fascists) and the son of that family became a famous industrialist leader in the United States. He also told me about a camp of American liberators in Cargèse (the Corsican town where he now lives) who gave the children of the village good white bread and tinned pineapple, which they had never tasted before. Jean-Hugues also offered to translate my novel, or at least a synopsis, into lingua corsa if I can first get a good French translation. An exciting possibility. Even if it all comes to naught, I have been intrigued by this Corsican connection to independence and imagination. This entry was posted in Corse, Corsica, Karen Stephen Author, Travel France, Writing Fiction, Yvan Colonna and tagged @docflamingo, Corse, Corsica, France, Jean-Hugues Colonna, Karen Stephen Author, Mother Tongue, Separtist Movement Corsica, Writing Fiction, Yvan Colonna by Dr. Karen Stephen. Bookmark the permalink.